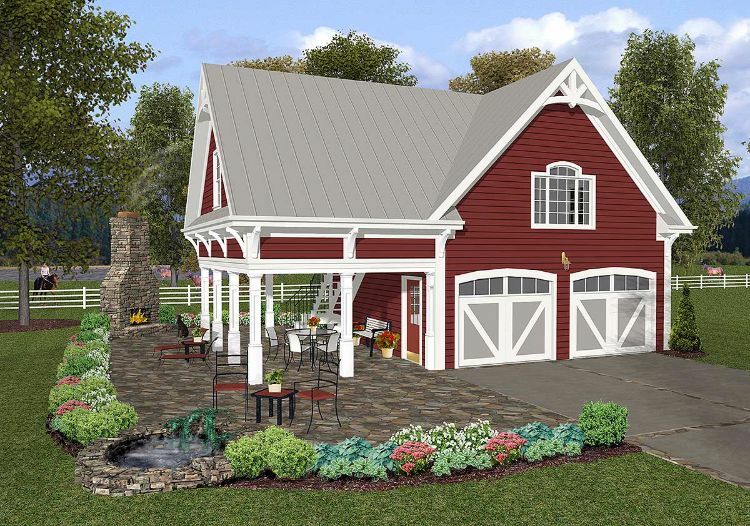 If you're looking for a tiny home that incorporates a garage while taking up the smallest footprint possible, look no further than the following floor plans for charming country carriage homes. 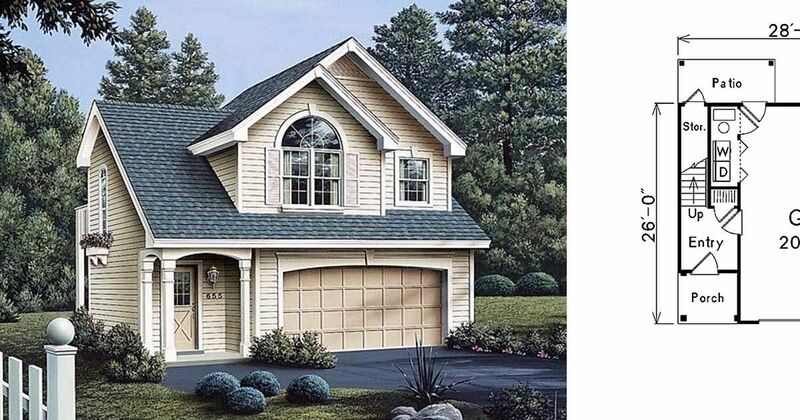 Whether you're looking for a home with a single, double, or triple garage, there's something for you here. 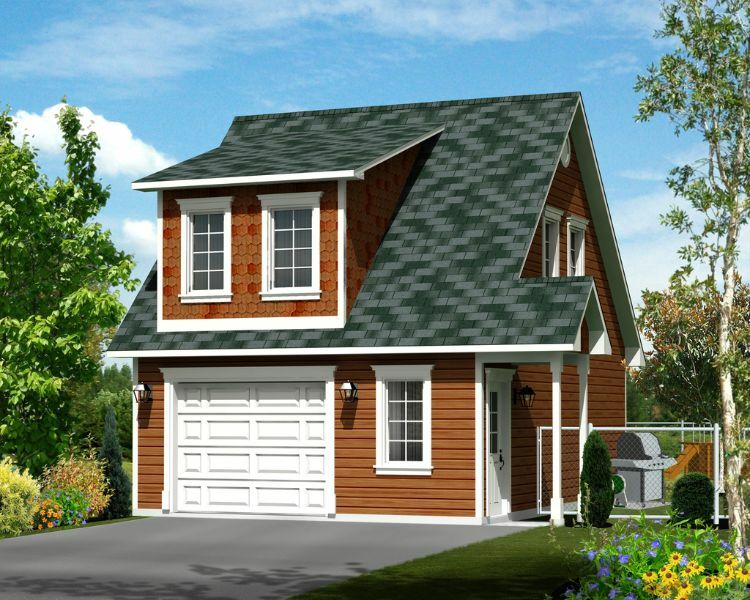 Even better, the various country-style features will ensure that you have one of the most cheerful homes on the block! 1. 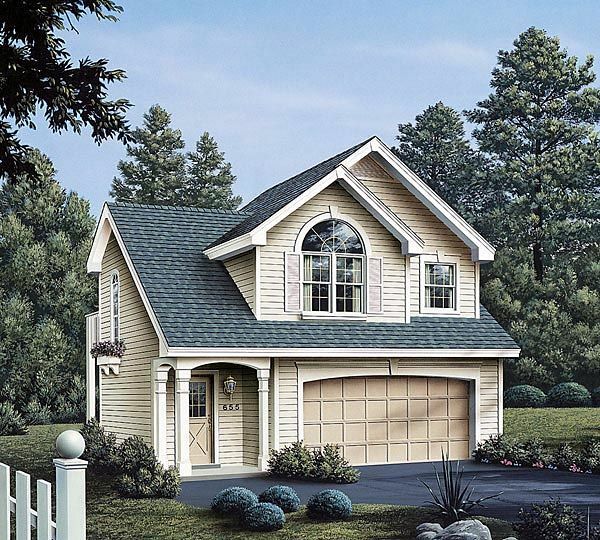 One-bedroom home with covered porch from Architectural Designs. This charming home from Architectural Designs measures 792 square feet (74 square meters), and it features a sizable covered porch on the left-hand side. Once at the top of the stairs, anyone who enters the home will be welcomed by a large coat closet with plenty of extra space for storage. The bedroom is off to the left, and it boasts another large storage space at the back of the room. The bathroom is located right next to the stairs, and the remainder of the home is taken up by an open concept kitchen and living room with an eat-in pantry and yet another storage space. 2. 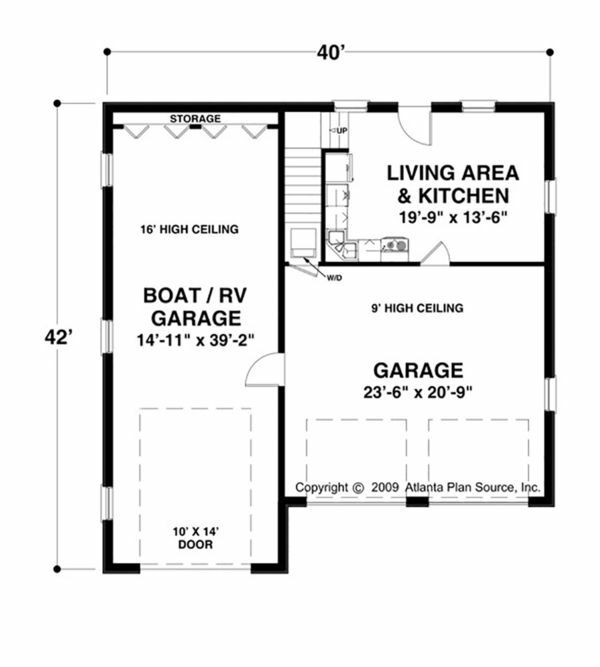 Craftsman home with large RV garage from Houseplans. 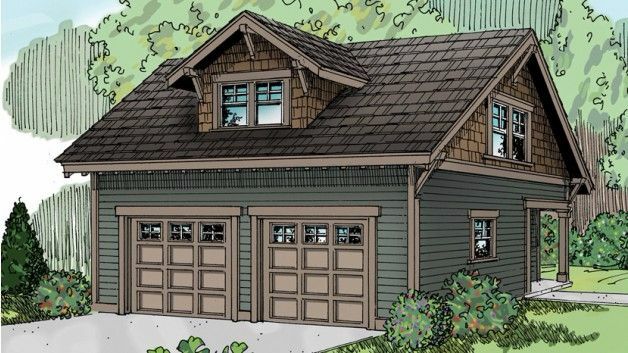 At 870 square feet (81 square meters), this home from Houseplans offers a two-car garage as well as an additional garage for a boat or an RV. 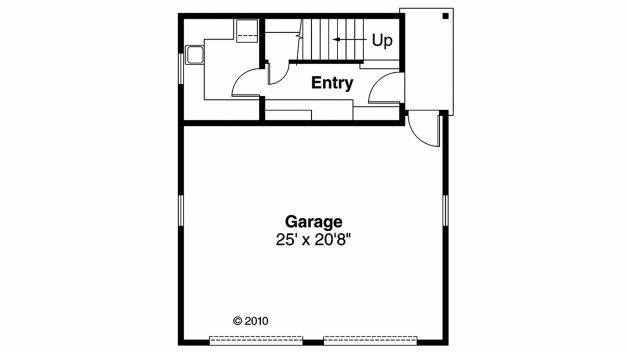 In a unique twist, the open concept living room and kitchen are found on the first floor, behind the double garage. The second floor is taken up by a large master suite, which offers a sitting area by the window, a bathroom with a tub, and a large closet. 3. 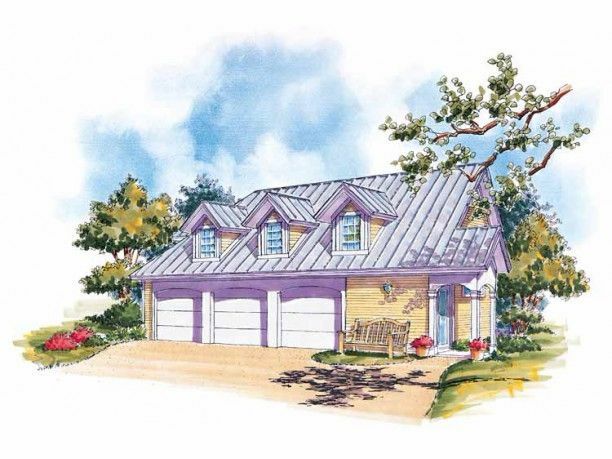 Traditional design with plenty of storage space from Family Home Plans. 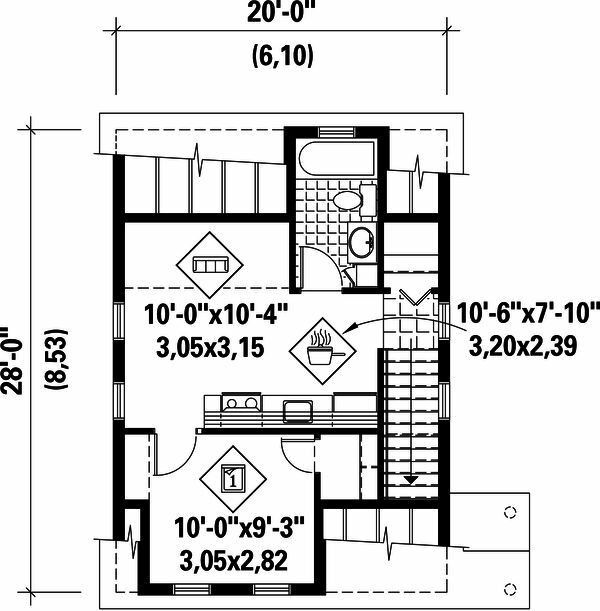 This design from Family Home Plans comes in at a cozy 628 square feet (58 square meters). 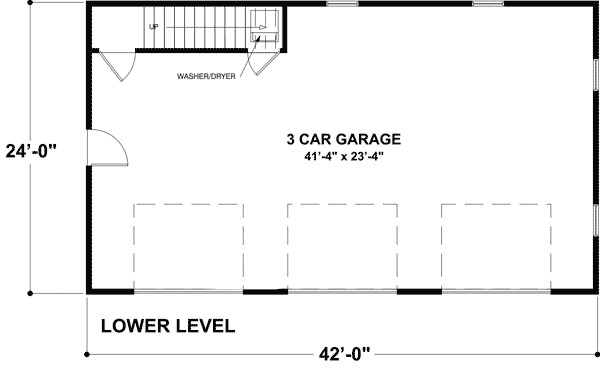 Downstairs, there is a double garage, a laundry closet, and a sizable storage space under the stairs. 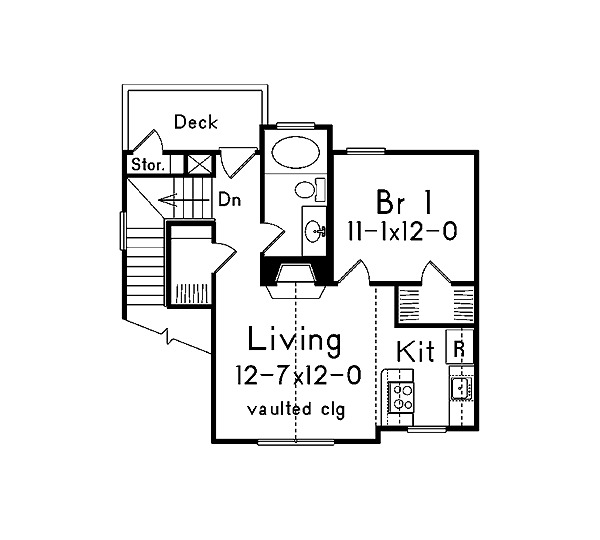 Once you have climbed the stairs, you will find yourself in a hallway with a deck off to the left, a bathroom straight ahead, and the living room on the right. The living room boasts vaulted ceilings and a large fireplace, and it's open to the kitchen on the right. 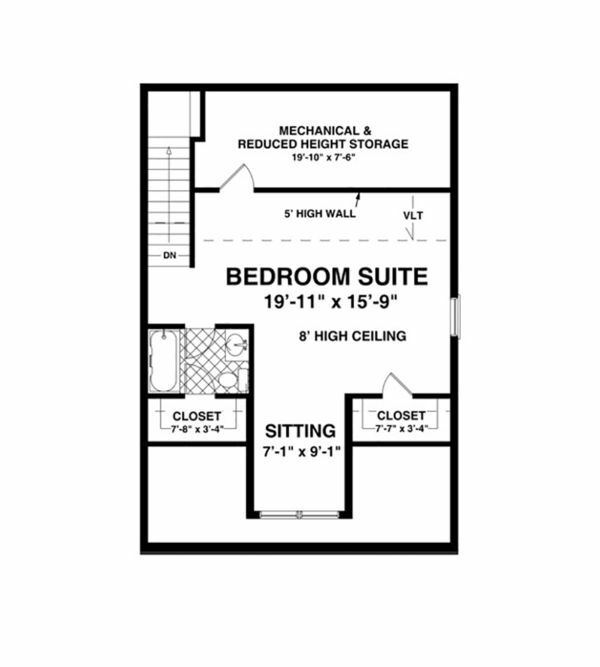 The bedroom sits in the back right corner of the home, and it includes a walk-in closet. 4. 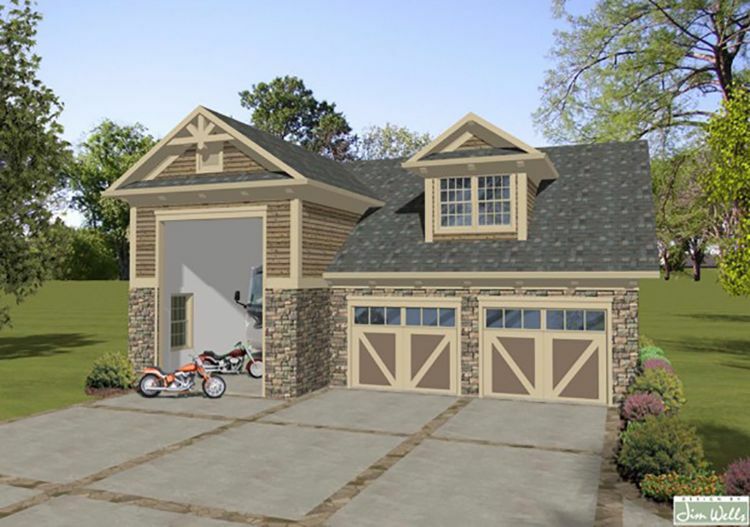 Cozy home over triple garage from Architectural Designs. Coming in at 838 square feet (78 square meters), this home from Architectural Designs offers plenty of curb appeal. The staircase is located in the back left corner of the triple garage, and it leads up into a small hallway. The bathroom can be found right in front of the stairs, and the large family room is off to the right. This room offers plenty of storage, including a linen closet, a coat closet, and some built-in shelves. 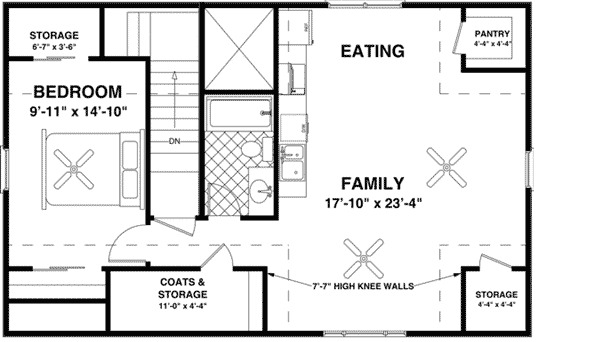 An eat-in kitchen with a large pantry is off to the left of the family room, and a bedroom with a large closet is off to the right. 5. 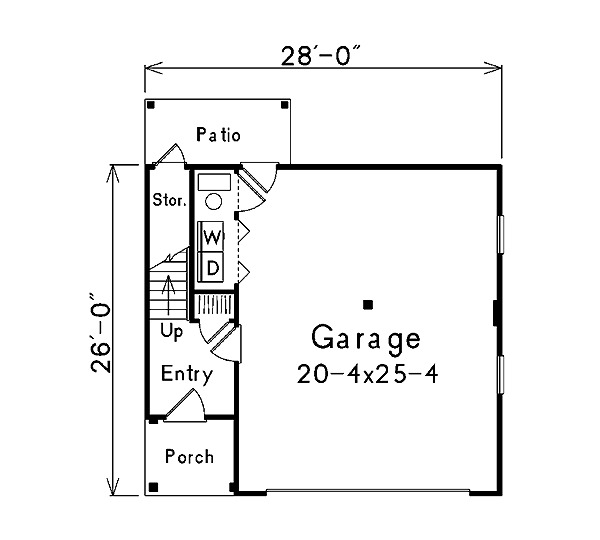 Simple studio home from Floorplans. Located above a double garage with a built-in wet bar, this design from Floorplans measures 865 square meters (80 square meters). 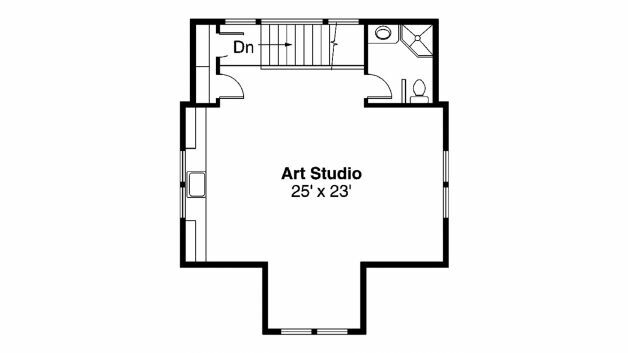 Upstairs, the space consists of a studio room with a dormer window at the front for visual interest. 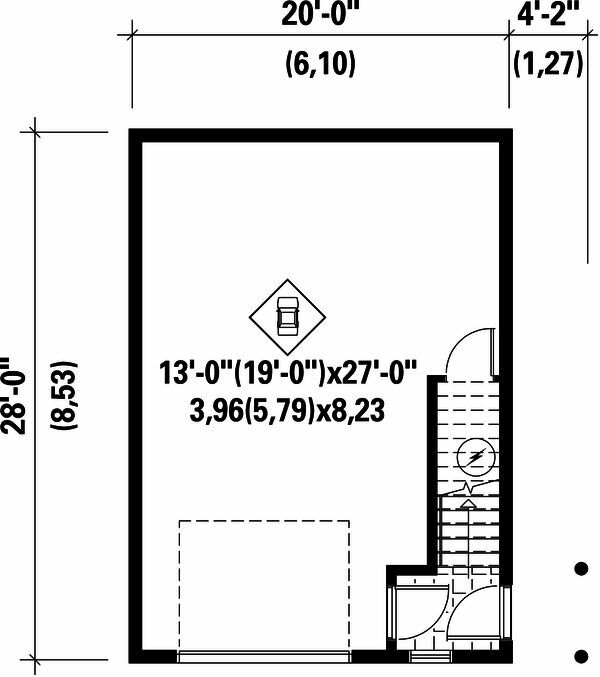 A small kitchen area is located on the left-hand wall, and a bathroom with a shower can be found in the back left corner. 6. 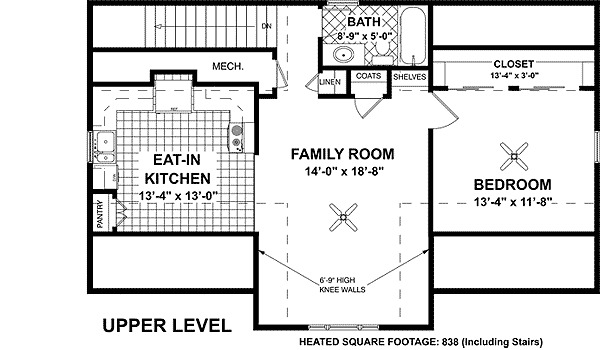 Compact one-bedroom design from Houseplans. Coming in at a tiny 432 square feet (40 square meters), this home from Houseplans is located above a single garage. A coat closet sits at the top of the stairs, and the kitchen is off to the left. This room also has space for a couch if desired. 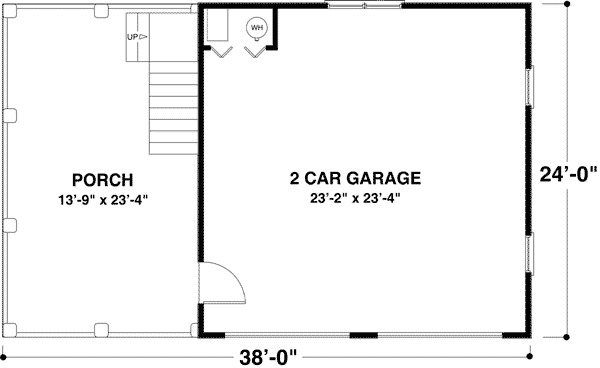 The bedroom is at the front of the home, and it offers a large walk-in closet. 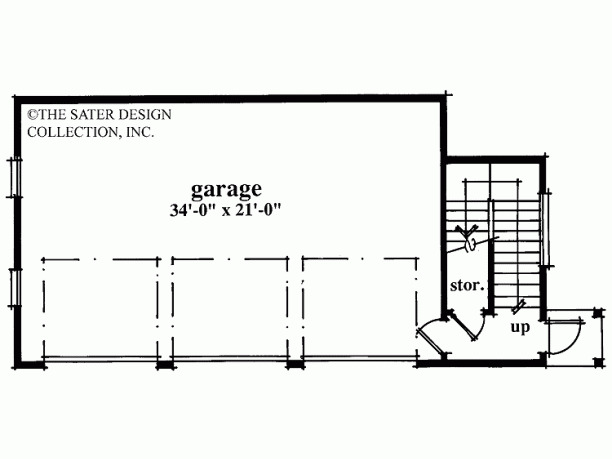 A bathroom with a tub in the back right corner of the home rounds off the design. 7. Low country design with vaulted ceilings from ePlans. 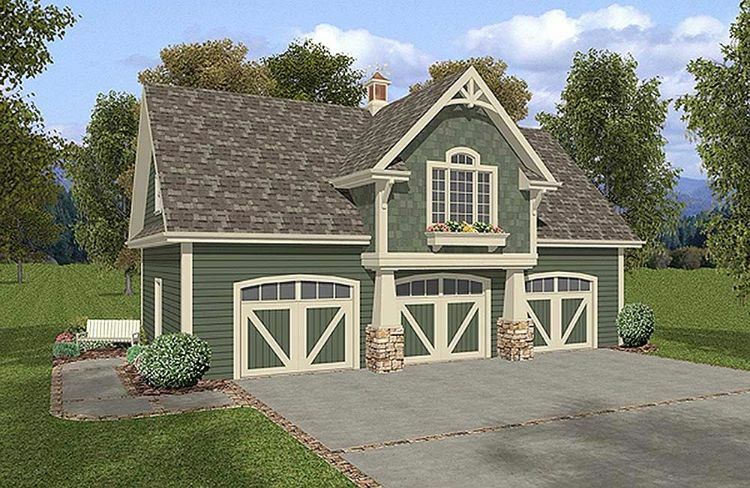 This low country design from ePlans sits over a triple garage and measures 770 square feet (72 square meters). 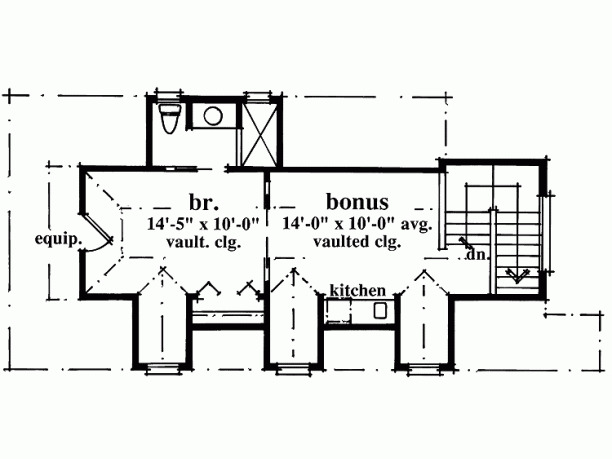 The home is entered through a staircase on the right-hand side, which has a large storage space under it. The staircase opens right into the main living space, which has vaulted ceilings, two dormers, and a small kitchen. A bedroom with an attached bathroom and vaulted ceilings takes up the left-hand side of the home.